The rightful god of Hate, Innoruuk, has recovered his seat atop the throne of Hate. Woe to any traveler who dares to explore the revitalized Shard of Hate, the celestial home to the divine father of spite and malevolence. Your presence is unwelcome, no matter your blood, your alignment, or your past actions. All will meet merciless resistance at the hands, claws, and teeth of the newly reunified minions of Hate! 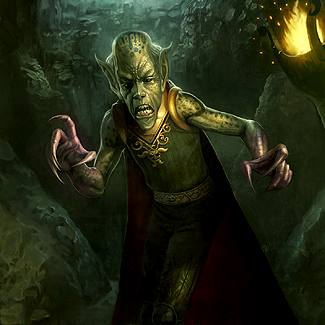 …But the unique treasures and great power that await inside beckon the bravest and the boldest Norrathians, as they have in ages past. Will fate see your name added to the ranks of victorious heroes or those of the defeated insurrectors? GU106: Seeds of Vengeance is coming to EverQuest 2 on Thursday, May 24th, 2018! This game update is packed full of new content, including a return to the Shard of Hate where solo players, groups, and raiders will all be confronted with new bosses, puzzles, and locations within the plane that have never been seen before! There will also be new expert dungeons, a revamped item examine window, new missions, and more! We'll be sharing previews of the coming content all the way up until GU106 launches, so keep an eye out more sneak peeks! This week, keep reading to learn more about the Item Examine Window Revamp. As EverQuest 2 has grown over the last 13 years (and counting!) the variety of stats on items has grown substantially, leaving the current item examine window rather cluttered. We figured it was time for a revamp of the item examine window to streamline and simplify the information. The item examine window now uses a column layout for item stats, the item tags have moved to the bottom of the window. Next, certain groups of stats that are always granted together on items, such as your Primary Attributes, will now be grouped together. If an item possessed was any single one of these stats previously, it will now grant you all of the stats in that item group. 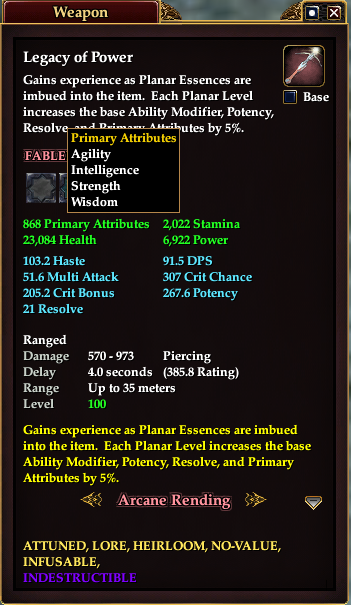 You can mouse over the item group to see what stats it grants. Any item that has a serialized bonus (like those granted by an item infuser or by reforging) will now only show the current stat on the default window. To see the item's base stats you can click the “Base” checkbox on the top right under the item icon. This checkbox will only be visible if you have a modified stat. You can also click the silver arrow (seen on the right side of the window) to toggle the details about an effect description on or off. The item mouseovers have gotten a similar update - you can press the alt-key to view base stats, as instructed at the top of the mouseover image. 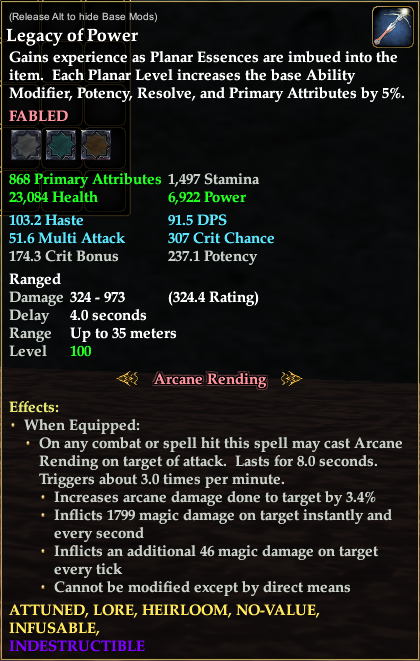 Finally, effects on an item have been separated and centered out from the blue stat groupings. You can even hide the effect description if you so desire, as shown in the first and second pictures in this article. Keep checking back to see what else is coming to Norrath in GU106 - you won't want to miss any of it!